I was lucky enough to visit America multiple times when I was a child - and it was probably the reason I never felt falling in love with someone 10,000 miles across the ocean was that big of a deal - I'd flown in planes for 15 hours across the ocean and landed in a totally different country multiple times. Disneyland is my favourite place in the whole world and I've experienced all of those typical American foods. When I was younger, the must have candy when I was in the US were Reese's Pieces or Reese's Peanut Butter Cups - but in recent years when I've had them they've been way too sweet! 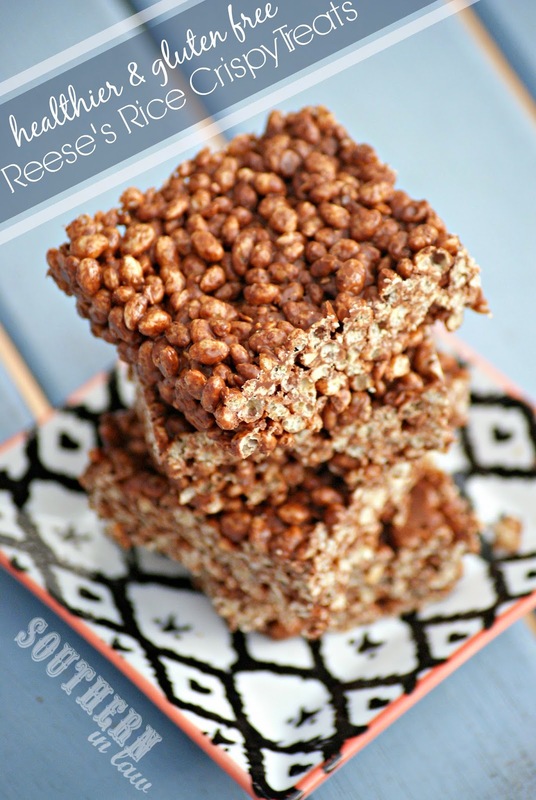 Jesse and I are both peanut butter lovers and when you add chocolate, it only gets better - so naturally, we had to make our own Reese's style treat that wasn't so slap your cheeks sweet but still absolutely delicious. What we came up with is something that is ridiculously simple, but also ridiculously delicious - it's one of those recipes that Jesse can make on his own (because whilst Kristy is the baker, Jesse certainly is not :P) which makes it extra delicious, haha. Prepare an 8x8" square baking tin by lining it with baking paper. Fill a small/medium saucepan with about 1/2 an inch of water and place a medium-large heatproof bowl on top, making sure the bowl isn't touching the water. Place your saucepan on the stove over a low-medium heat and add your chocolate into the bowl. Stir chocolate until almost melted, add peanut butter and stir until melted and combined. Take your chocolate bowl off the saucepan, turn off the heat and add your cereal into your chocolate bowl, stirring until all of the cereal is coated. Pour your mixture into your prepared baking tin and chill in the fridge for a few hours or until set. These rice crispy treats will keep in the fridge for a week or so or can be frozen indefinitely. They're best kept cold so that they don't melt and fall apart! *For a vegan version, make sure you're using vegan friendly chocolate! But tell me, what's your favourite candy? And where's your favourite place on earth? I just say these on Food Gawker and my taste buds fell off my head. 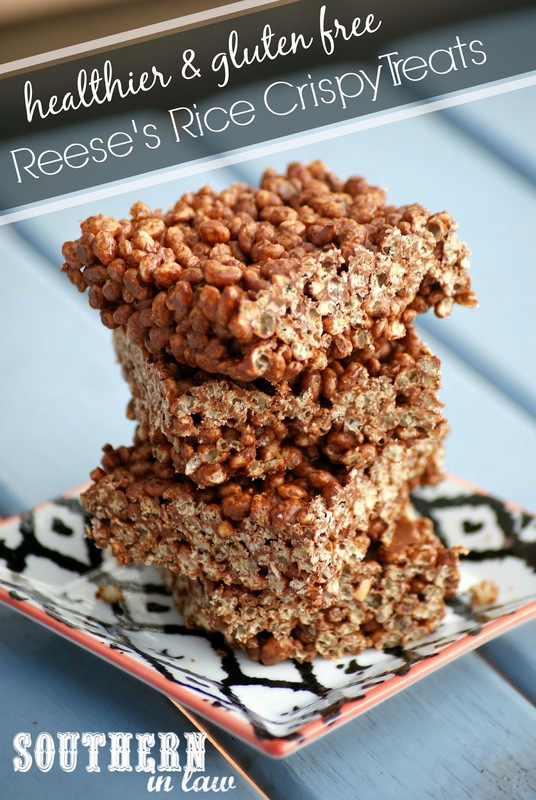 I LOVE Reese's and Rice Krispies, and these are healthier...so I can have 10 right? ;) Pinned! They look delicious! I love the idea of using Lindt 85%. Making them for sure! Thanks for sharing! You'll have to let me know what you think, Azu! These look so good! If I'm going to have candy, it's definitely Reese's peanut butter cups! You just can't beat peanut butter, I say!